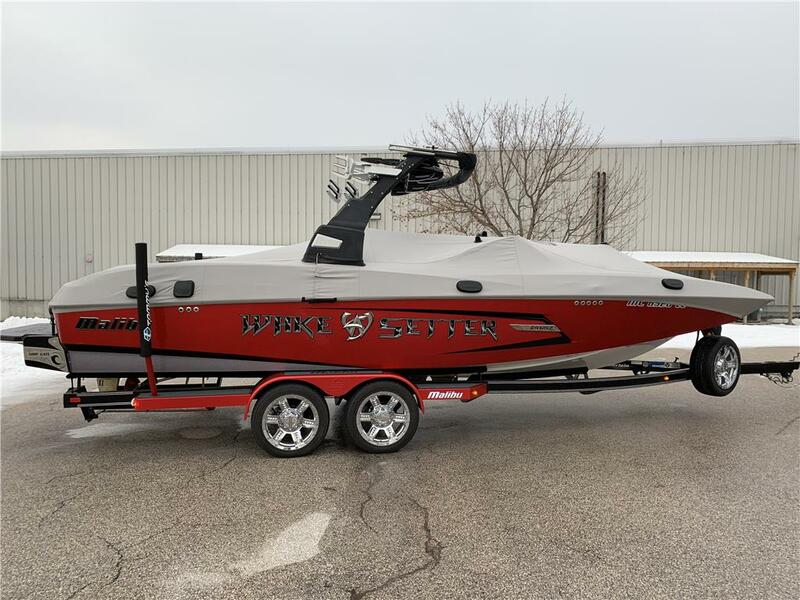 2015 Malibu 24 MXZ - loaded & low hrs!! The Vapor tower is Big Air's take on a classic tower design that has been very successful over the years. It has proven to be a great looking tower that is easy to install and very sturdy. It comes with strong tubing, polished finish, and universal mounts. To save weight without giving up any strength, the Vapor Wakeboard Tower is made with strong 6061 Aircraft aluminum that will bear the weight even the heaviest of riders. The Big Air Vapor Tower can accommodate any boat between 79" and 108" in width, for a truly universal design that will fit almost any boat on the market. This Big Air wake tower allows one person to quickly and easily fold this tower below windshield height for convenient storage in a standard garage. - This Big Air wake tower will adjust down to fit a 79” mounting location. Please make certain that the boat’s hull at all mounting locations, especially the front, for the tower is at least 79 inches wide as the tower cannot go narrower. OnlyInboards Take - Another great tower from Big Air. One of our two favorites from their offering (the other is the Cuda). This Big Air wake tower looks great on 20 - 22 ft inboards as well as 19ft and above stern drive boats. With the base mount generally following the windshield line it really gives that tower an OEM look many boat owners desire. Just installed this tower on our seaswirl and the workmanship on the product was very high quality! IT was a pleasure installing because everything fit like a glove. I give it a 10/10!! Cant wait to test it out this year! Liked the looks online. Price was good but tower is not a great as I had hoped. Packaging (box, wrapping, thin foam) was super cheap and didn't protect - tons of scratches and marring. Eventually got replacements (still a little scratched but will deal). Getting product support for the installation from Big Air by phone was not cool - called 6 times in one week before I talked to someone. Getting a reply to my emails takes days. Decided to get it professionally installed. Now that it's on my 1998 Malibu Boats Sunsetter LX, it looks good. First lake trip not very stable with lots of movement play, side to side shimmy, rattling. Towing it and watching it dance around in the rear-view made for a stressful 3.5 hour drive. Took it back to the local pro shop they did all they could and re-tightened everything upgraded a backing plate kit- it's maybe 10% better. Looking into another brand or a custom after cragslisting this one and filling the 16(!) holes drilled for the 4 mounting feet. OnlyInboards rules and our family will always buy from them but this was my least favorite purchase but by no fault of their own. Great tower at a great price. The polished aluminum tower is light weight and rock solid. The aluminum is also easy to drill which is a BIG plus compared to stainless steel towers. This tower was the best choice for my 1993 Sport Nautique and the customer service you receive from the staff at onlyinboards is unbeatable!